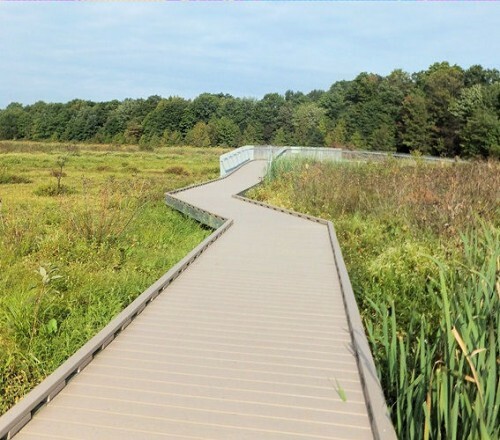 SWSG provided architectural, structural and civil engineering services for the Huntley Meadows Wetlands to replace the surface decking and toe rails of the entire 18,500 SF of boardwalk including an enlarged classroom platform and observation tower. 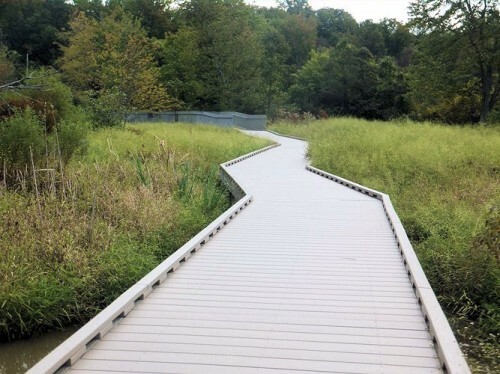 Options were explored to further enhance visitor interaction with the wetlands environment, including transparent sections in the deck, lower and/or floating boardwalk sections at the water level and replacing existing steel guards with a less obtrusive style. 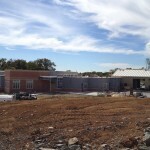 Fauquier County desired an ADA compliant connector trail to replace an existing footpath between this school and adjacent residential community. 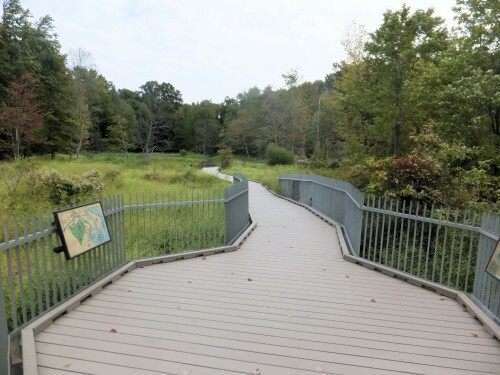 The proposed trail is over 640 LF long with 250 LF passing through wetlands along Tin Pot Run. 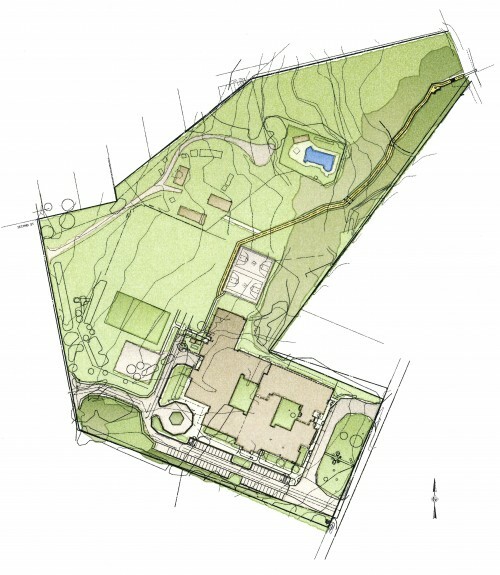 SWSG’s design approach followed the existing foot trail, the new trail design minimizes tree removal and other disturbance to the woodlands. 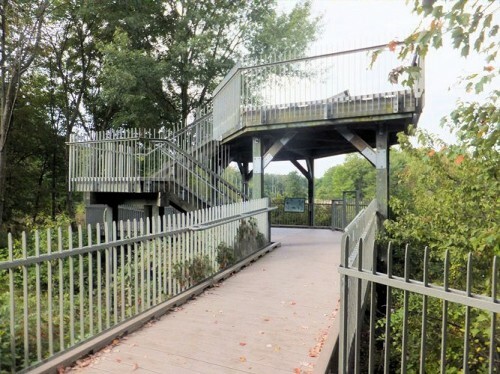 The elevated wooden boardwalk over the wetlands minimizes disruption of water flow across the wetlands and prevents water born debris from accumulating on the elevated deck during normal storm events. 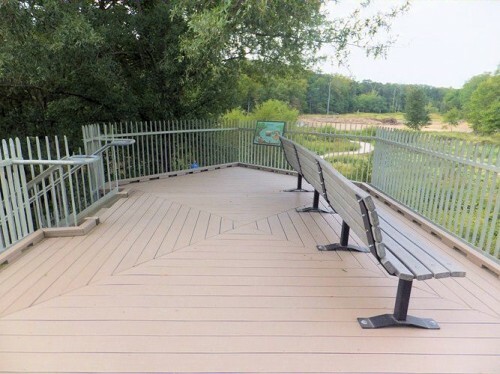 A small interpretive nature area was designed on the boardwalk near the stream for school educators’ use. 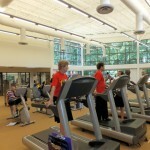 The trail design encourages non-vehicular access to the school by students and parents from the surrounding community.